Why does not it works, the planning you do for life , the future plan. We all dreamt something else in our childhood. When I was a kid I wanted to be a doctor, and all my noble wishes of serving mankind. But, what am I doing now ? Where am I ? Why am I here ? The question also goes same to you ! What are you doing in these time of your life,whatever it may young,adult or old. Well I am in my young adult stage, and I will be 22 years old in july 16th. But,what is the purpose of planning life ? Since nothing seems to happen as we wish in our life,why bother worrying about future. You and I could never know the future. We keep planning our future,we keep worrying about what we would do 5 years later, who knows what will happen tomorrow to us. I am not saying that we do not need to plan our life,but think about it what a gamble it is to plan something about your uncertain future. What we plan in our life ? We all want happiness in our life,that is why the fuss of getting a job exist, the job is the source of money.Many people do any job to get money,it does not matter whether it matches their personality. You may think that all the great works were done by 99 % hard work and 1 % inspiration, which was said by Thomas Alva Edison,the scientist who invented light bulb,gramophone,movie camera and one thousand other machines that we still use proudly. But, in an other not famous quote Edison said that he enjoyed all his life by his work and he said something very important that you might want to remember, he said that he has never done any work in his, all those great inventions that shaped the modern world,as he was playing all his mighty life,he never got bored,never got anxious,but he was not working all day,even though he did not come home for many days,he had a sofa to sleep in his lab. 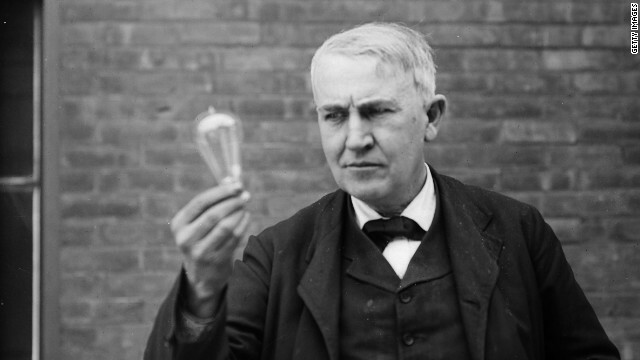 So, what did Edison do in his early life ? Did he plan this great life that influenced the whole world. 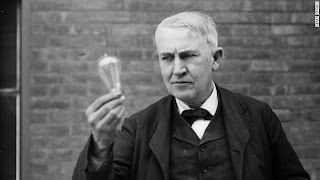 I think Edison followed his heart,his instinct and impulse. He was not shy to ask questions to teacher, even the craziest one,for which he was eliminated from school, he was taught by his great mother,who knew the greatness of her son,and inspired to be one. What the great peoples did in their life that made great ?they did great works that has been touching the life of billions and will be touching. I think,they did not do great works with hard labour,even it does look like hard work for us,but all the great scientists,artists,musician,singer, and all the professionals of the world,enjoyed their work like a playing toddler with his new toy. To do great work,you have to find yourself,who you are ,where your interests lies. What you wanna just do ,even if you do not get paid for that.The work, you do for no reason is the work you are born to do. You need to leave anger,ego and shyness and start living in now following the impulse. No one have a guaranteed life or a certain life. We can do anything if we start doing what we want to right now. My world is in this moment.no matter how many minutes,hour and days passes, I will be always living in this moment. What I want to say is that I will be always feeling like living and that moment will be my moment. If you do not do what you want to do as an instinct, you are wasting your life. I could not have written all this if I did not followed my instinct. All that great work that was ever done,are being done and will be done by the people who did what their heart tell them to do in this moment. The past exist only in memory,the future exists only in imagination and only present,this moment is real. The question for you is ARE YOU DOING WHAT YOUR HEART IS TELLING YOU TO DO IN THIS MOMENT ?? What is stopping you ?